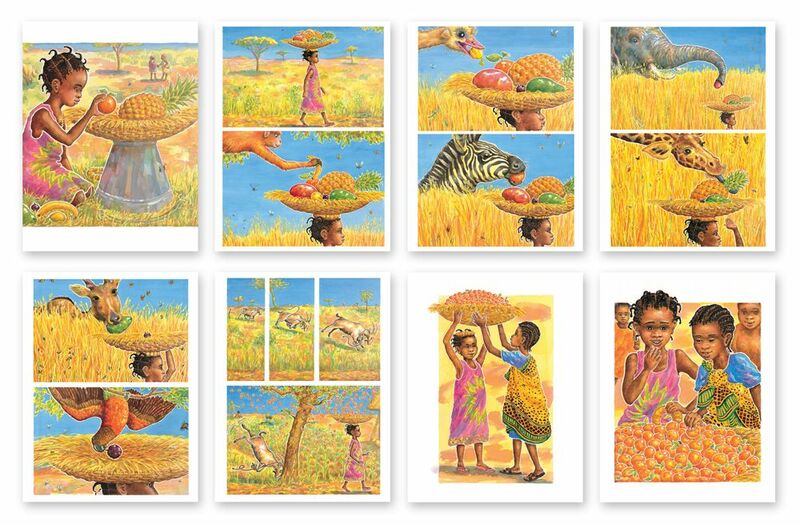 Join Handa on her journey to her friend Akeyo, sharing in the secret of what is happening to the fruit in her basket. 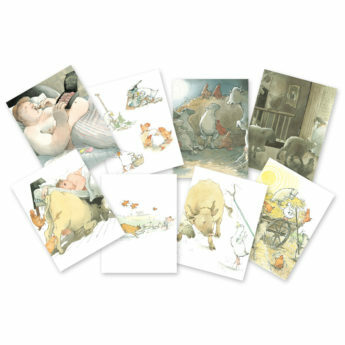 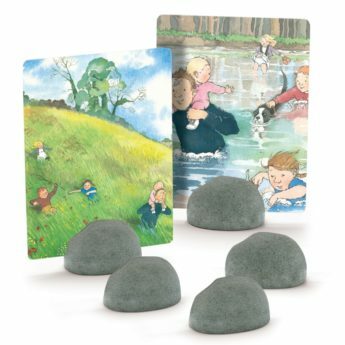 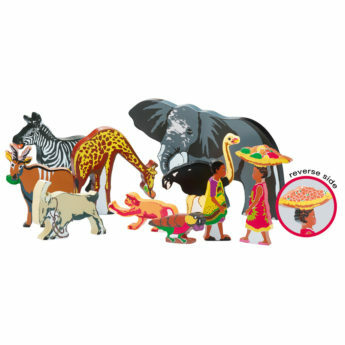 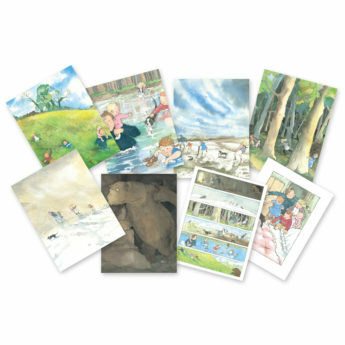 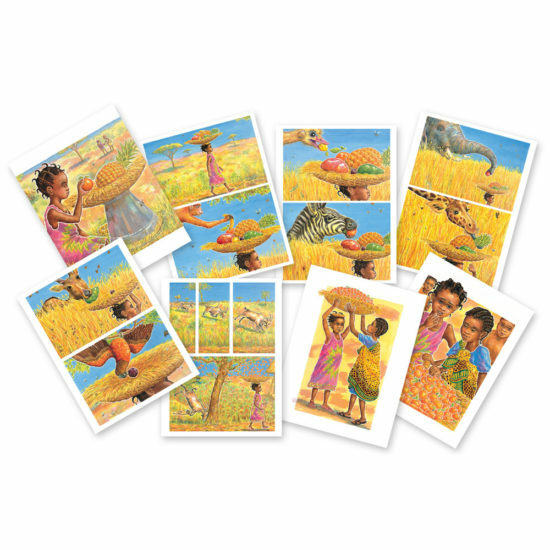 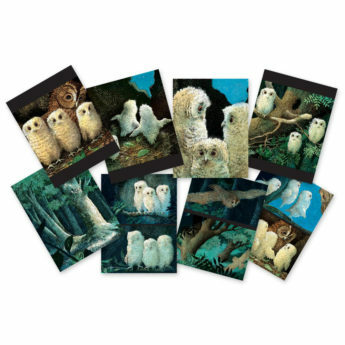 This set of eight double-sided plastic story cards allows you to follow the story by exploring the original illustrations from the book. 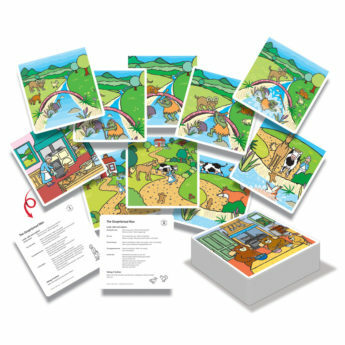 The reverse of each card is full of engaging language activities to build on and extend children’s interest, helping them to develop essential speech and language skills. 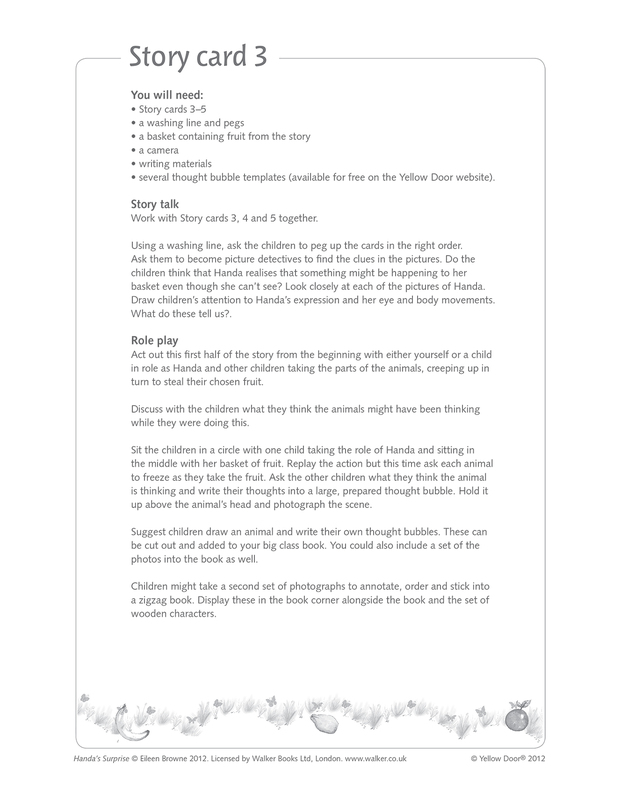 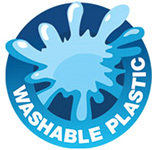 Ideas include story mapping, role play and personal reflection. 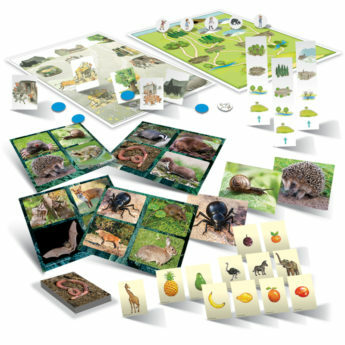 Measuring 275 x 210mm and printed on durable plastic, these cards are ideal for introducing the story to a group and are tough enough for use throughout a learning environment, including outdoors.